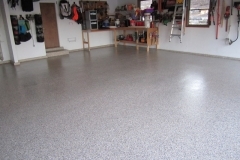 Epoxy is a class of materials that consists of an epoxy resin and a polyamine hardener. 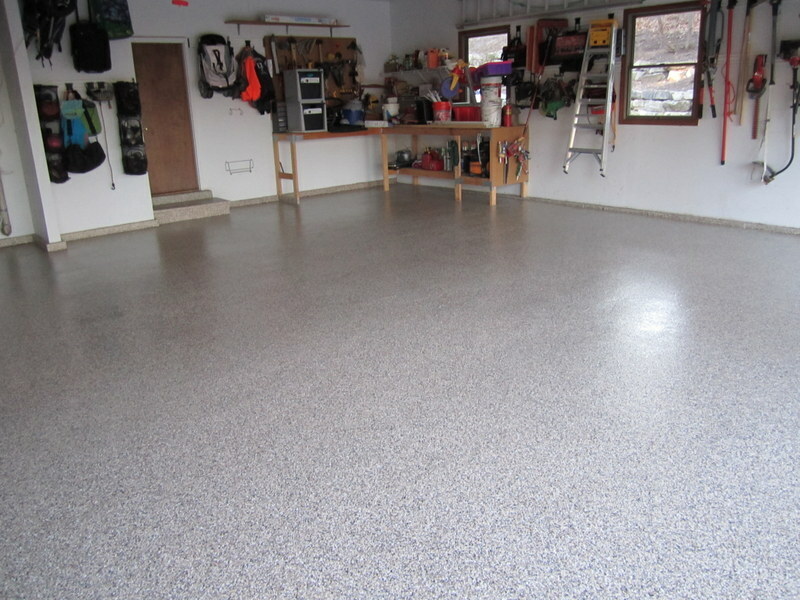 Used on concrete floors, it creates a rigid plastic surface that is resistant to most types of damage. 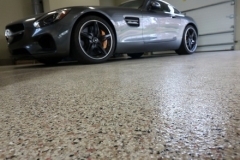 This is an ideal floor coating for indoor spaces like garages, basements, car showrooms, commercial kitchens, and more. 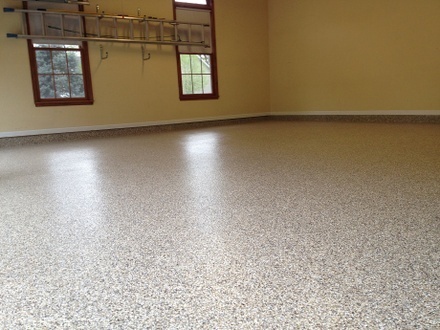 Contractors and designers alike highly recommend an epoxy coating for interior floors. 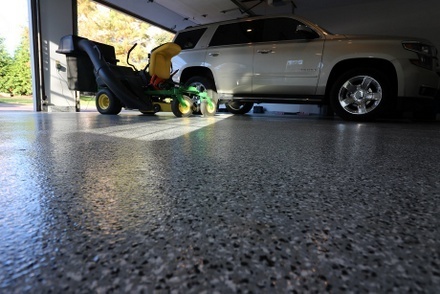 It works in any room but is popularly used on garage floors, basements, and kitchens. 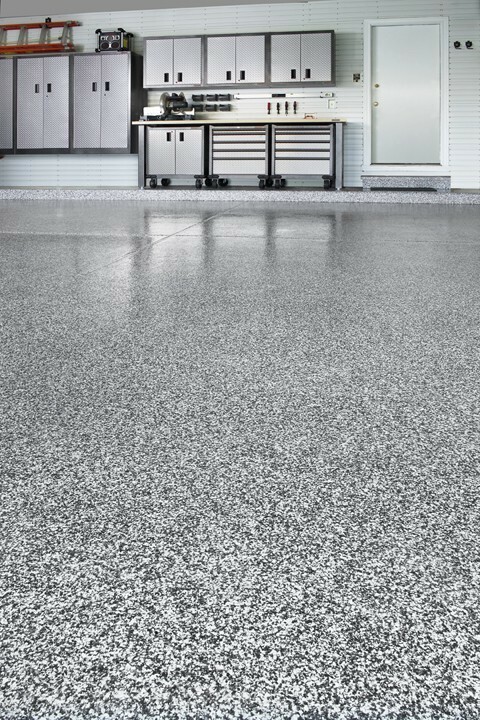 One reason why it is used strictly indoors is that epoxy, unlike polyurea polyaspartic, is not that resistant to UV rays. 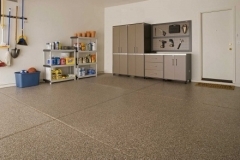 Long and repeated exposure to sunlight could discolor an epoxy flooring, turning it into a yellowish color. This, however, does not affect its form and durability. 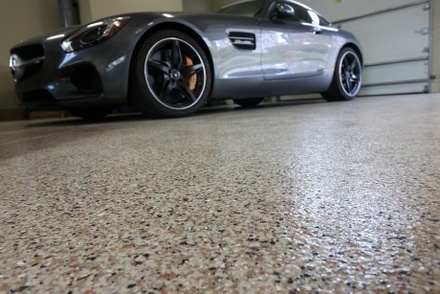 Strength and Durability – Once epoxy cures and hardens, it becomes a strong and sturdy surface that is resistant to wear and long lasting. It is so strong that it prevents chemical breakdowns. Low-maintenance – Because this coating is non-porous, it does not absorb moisture or dirt, making the seamless surface easier to clean and maintain. Visually Appealing – Epoxy coating comes in a variety of colors. 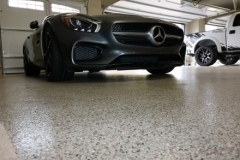 It can also be customized further by broadcasting micro paint chips on the base layer and topping it off with another layer to keep the chips in place. 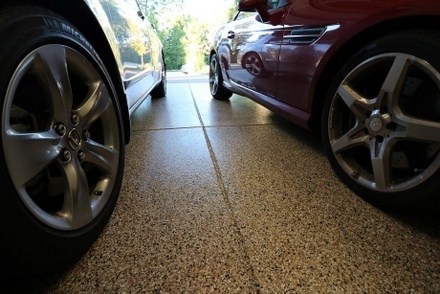 The result is a granite-like surface. Another design idea is to use metallic tints in epoxy. 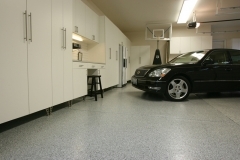 Damage-Resistant – Epoxy floorings are very resistant to most damages. It remains intact even when exposed to potent chemicals. 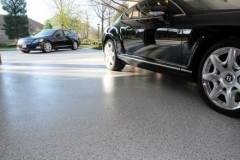 It is resistant to extreme temperatures, impact, and abrasion, too. In the Dallas, TX area, a professionally installed epoxy flooring often costs between $3 to $12 per square foot. 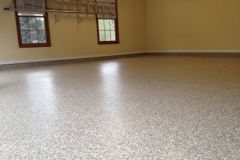 The actual costs would depend on what type of epoxy is used, how many coats are applied, and the labor involved. Additional customizations, like paint chips, score lines, or expansion joints, may also incur additional charges. 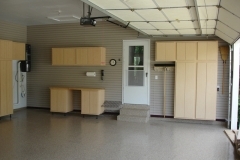 It is important to get an accurate quote from a reliable contractor before hiring a pro. 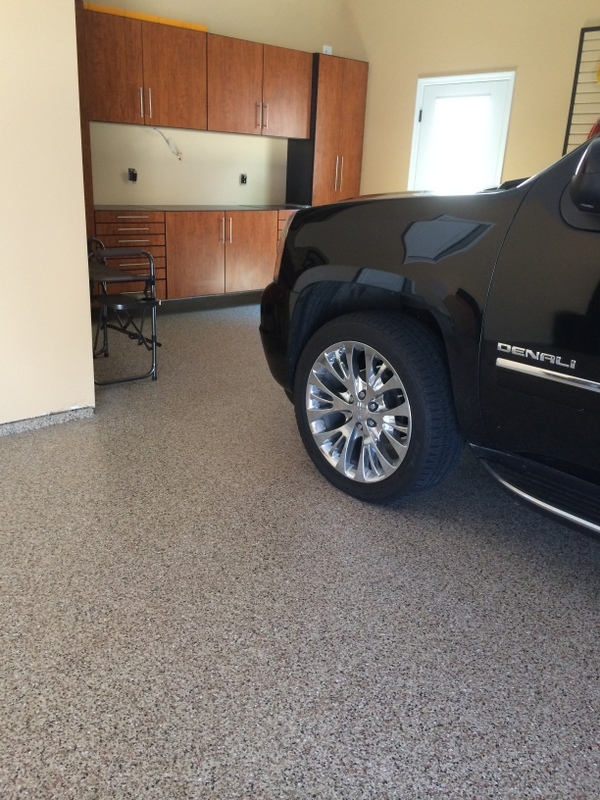 Enjoy seamless beauty and function with Epoxy Flooring. 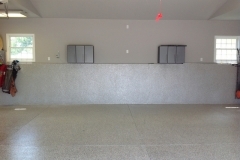 Call (972)808-5281 today. Interested in making updates to your garage flooring? 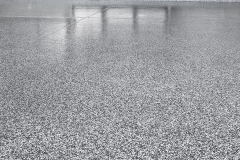 Want to improve business by improving your commercial floors? 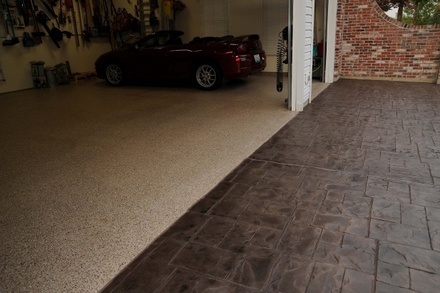 Don’t fret – Dallas Decorative Concrete is here to help. 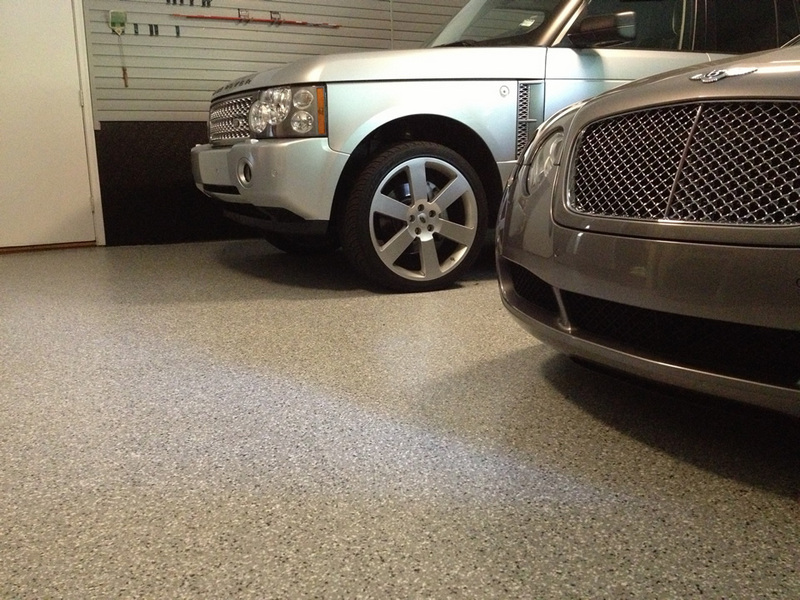 We are dead serious about providing premium interior and garage floor epoxy solutions throughout the Dallas, Texas area. 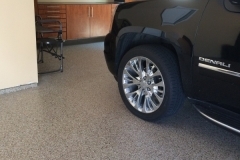 From design options to cost concerns, we listen to our customers as they envision their dream floors. This is just one reason why we have so many repeat business. But don’t take our word for it. 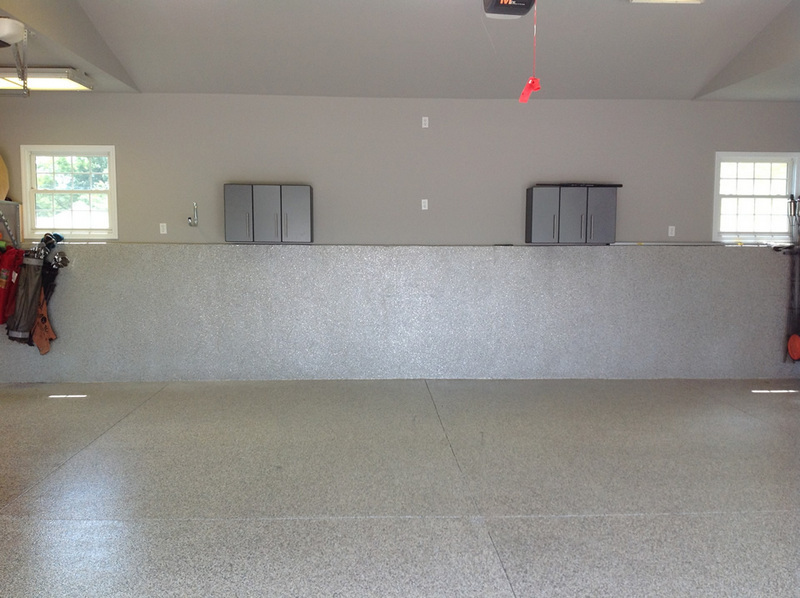 Call or email us to speak with one of our professionals today. 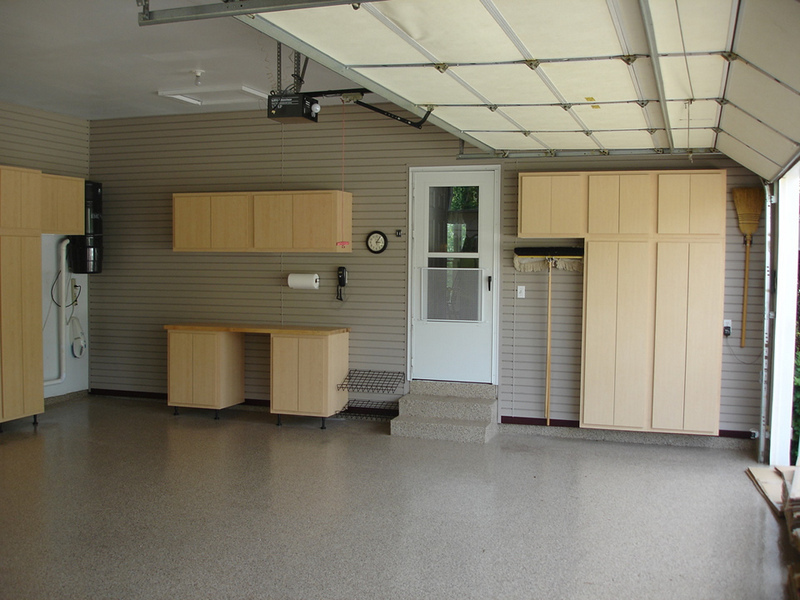 We can also provide you with a free consultation and quote.